Superior Industries Inc., an American-based manufacturer and global supplier of bulk material processing and handling systems, says its presence at bauma 2019 will be three-times larger than previous editions of the world’s largest trade show. Today, the builder of crushing, screening, washing and conveying equipment unveiled its display plans. Inside Hall B2 at stand 107, Superior plans to showcase its brand new Alliance Low Water Washer. The one-of-a-kind technology allows crushing operators to wash fines within their crushing circuit. It saves from transporting the fines to a separate wash site, which requires costly trucks and harmful re-handling of the material. Available for production rates of 90 – 272 MTPH (100-300 TPH), the Alliance Low Water Washer accepts a dry feed from the crushing circuit. An agitator converts the material to a slurry before an integrated dewatering screen removes excess water, leaving as little as 8% moisture in the discharged manufactured sand. Superior says existing units have required as little 45-90 m3/hour of water (200-400 GPM), depending on production rates. That’s significantly less water consumption than a traditional screw or cyclone. The BC Trucking Association is welcoming new rules that require vehicles over 5,000kg to chain up in winter conditions on provincial mountain passes. BCTA President Dave Earle says its time for truckers who are choosing to ignore the rules to fall in line. To help drive home the point, he also welcomes escalating fines with a higher starting point than the current $121. The future of Canada's forest sector requires a diverse and inclusive workforce. The Canadian Institute of Forestry/Institut forestier du Canada (CIF-IFC) is pleased to announce an initiative to create a National Action Plan to promote gender equity in the forest sector. The CIF-IFC applauds the Government of Canada's commitment to this initiative. A formal announcement of federal funding for the project was made by Mr. Terry Duguid, Parliamentary Secretary to the Minister of Status of Women at the Museum of Nature in Ottawa. "When we invest in women, we strengthen the economy for everyone," remarked Mr. Duguid. Data from Statistics Canada in 2017 reveals that women make up roughly 17% of the natural resources workforce. "It's time for action. We are thrilled that the CIF-IFC is leading the first national public-private sector partnership targeting gender equity in Canada's forest sector. This initiative will support the recruitment, retention and advancement of women in Canada's diverse and dynamic forest sector," explains Dana Collins, CIF-IFC Executive Director. On November 23, 2018, Squamish Nation Council announced that it had voted and approved three agreements regarding the Woodfibre LNG Project. The three agreements are with Woodfibre LNG Limited, FortisBC, and the Province of British Columbia. These agreements mean Squamish Nation has given approval for the Woodfibre LNG Project to proceed. Squamish Nation Council’s announcement is available, here. GOMACO Corporation announces the recent appointment of Aggregate Equipment as the authorized GOMACO distributor for the Atlantic provinces of Nova Scotia, New Brunswick, P.E.I., Newfoundland and Labrador in Canada. 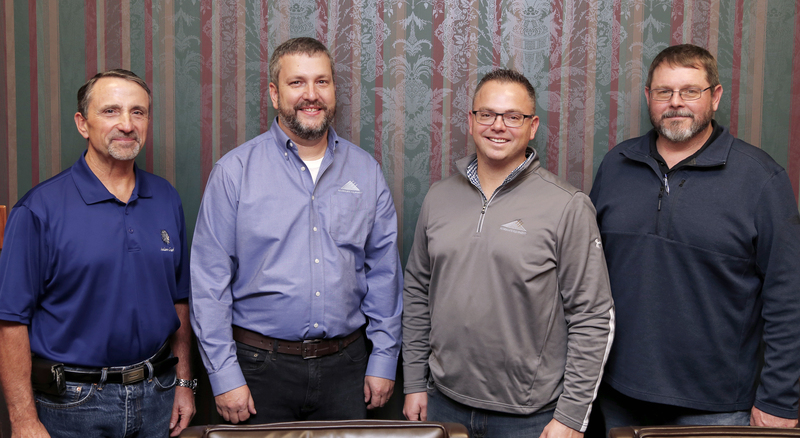 They will provide sales and service for GOMACO’s full line of concrete construction products. The appointment was made by Kent Godbersen, Vice President of Worldwide Sales and Marketing, GOMACO Corporation. Travis Brockman is GOMACO’s District Manager for the province. Manitou Group, a world leader in rough-terrain handling, has signed a partnership with "Farming Simulator 19", the online video game with the largest community of farmers in the world. With three models incorporated into this version, the group is presenting its latest telehandlers and forklifts in a new and fun way, while at the same time enhancing brand awareness. Farming Simulator 19 will be on sale from November 20, 2018. Inland has acquired Columbia Truck and Tire, adding a truck and equipment parts and service location in Castlegar, B.C. 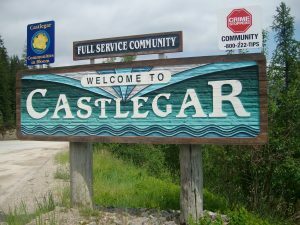 Inland Castlegar will continue to operate as a truck and trailer repair shop, parts store, as well as a Goodyear tire dealer. In addition, under the Inland name, they will be the Kenworth, Tigercat, Case and Link-Belt dealer, offering parts and service on forestry and construction equipment as well as trucks and trailers. One of the Western Canada’s most popular heavy equipment trade shows, showcasing the leaders and rising stars of many of the key sectors in its region, is returning to the CN Centre for its fourth edition May 24 & 25, 2019. Exhibit space is already in high demand with hundreds of exhibitors lining up for prime locations on the show floor. 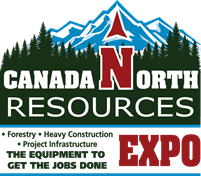 Canada North Resources Expo is a key trade event for those with a personal or professional interest in resources industries like forestry, heavy construction, and project infrastructure. The event hosts over 300 exhibitors with hundreds of pieces of equipment and machinery, on display over four acres inside and outside the CN Centre. More than 8,000 qualified buyers attended the last edition in 2017. Shell’s 40% share of the project’s capital cost is within the company’s current overall capital investment guidance of US$25-$30 billion per year.